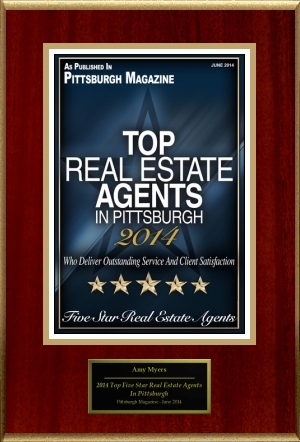 Excited to be the recipient of the Pittsburgh Magazine To Real Estate Agent Award. Thank you to all of you who voted for me! These awards are shared not to toot my horn specifically but to show that I am willing to work hard and provide my clients with excellent services.